Chuck Sanders, three-time Builder of the Year for one of the Nature Coast's largest builders for the last decade, serves as president of SanderSon Bay Fine Homes. He is joined by his father, Jim Sanders, the developer of the region's first master-planned community, and Bob Henigar, who headed one of the nation's largest engineering and consulting firms. 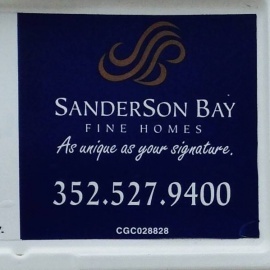 Voted the Best Citrus County Home Builder, SanderSon Bay Fine Homes would love to help you build your dream home right here in Citrus County, Florida. Citrus County's spectacular natural homesites are world-renowned for their natural beauty. The Citrus County area features award-winning golf courses, abundant wildlife, wonderful rural lifestyle, low cost of living, low crime, and the friendliest people in the world - all of which provide the perfect backdrop for SanderSon Bay Fine Homes and your new custom designed home. 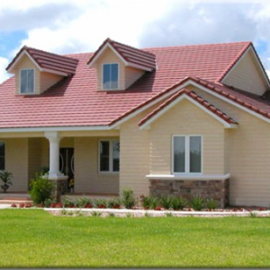 Enjoy the very best in Florida living with a home designed especially for your lifestyle from experienced builders recognized for their commitment to making your vision a reality. Real Estate Professional located in Lecanto, Florida, here to help with all and any buying, selling, and renting of property needs in the area. We are a local Real Estate Assoc. that provides MLS, Education and more to our 500+ Realtors.